Happy Sunday to you! Today is a fun mission with #SundaySupper! We had to create a goody for Halloween. There are such a wide variety of things to make, but one thing sticks out to me, and that is chocolate. Yes I love the sugary treats, like suckers, candycorn, laughy taffy, nerds and more. But my heart goes out to chocolate. But as much as I LOVE Halloween candy I can’t really have it near me. I can pound down a bag in no time. Not only will I get a tummy ache, but ohh the guilt is the worse. So what does one do when you need chocolate and candy? Make your own healthy, guilt-free chocolaty treats that are not only amazing tasting (trust me they are) but also gluten free and vegan. 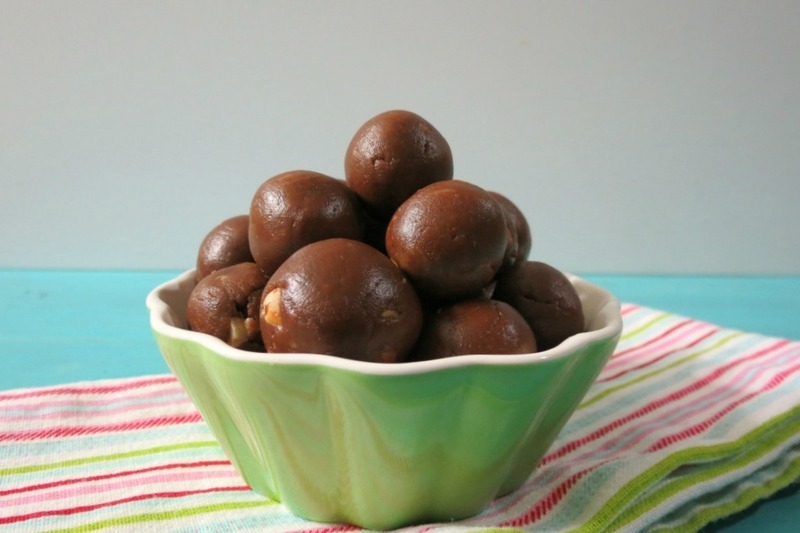 Let me introduce to you my Snickerway Truffles! This is one of the BEST chocolate treats I have made. 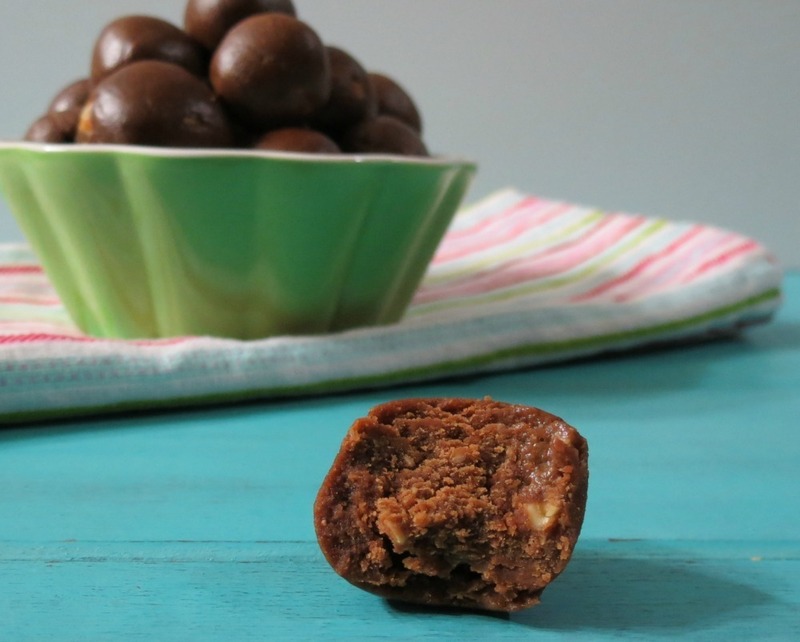 Rich chocolaty flavor, creamy caramel and the best thing ever created, peanut butter, oh my!! They melt in your mouth! I am in love with these little balls of goodness!! I decided to call them Snickerways because these truffles are a mix between a Snickers Bar and a Milky Way. Both chocolate bars that are near dear to my heart. I took a batch to work and they agreed Snickerways was the perfect name!! Not only are these melt in your mouth good, they are a breeze to whip together! I made two batches in less than 25 minutes. These are made with Peanut Butter, unsweetened cocoa powder, vanilla extract, Caramel Extract and Maple Syrup. 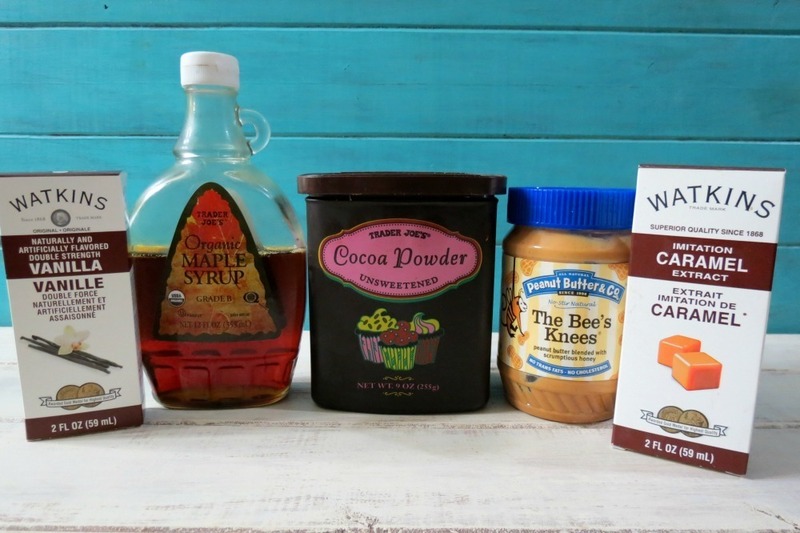 All these combined together make the ultimate chocolate treat!! For a little added crunch I used roasted salted peanuts. I just chopped them up fine and added it to my batter. I love the salt added to the chocolate. It just ups the level of flavor in the truffles. 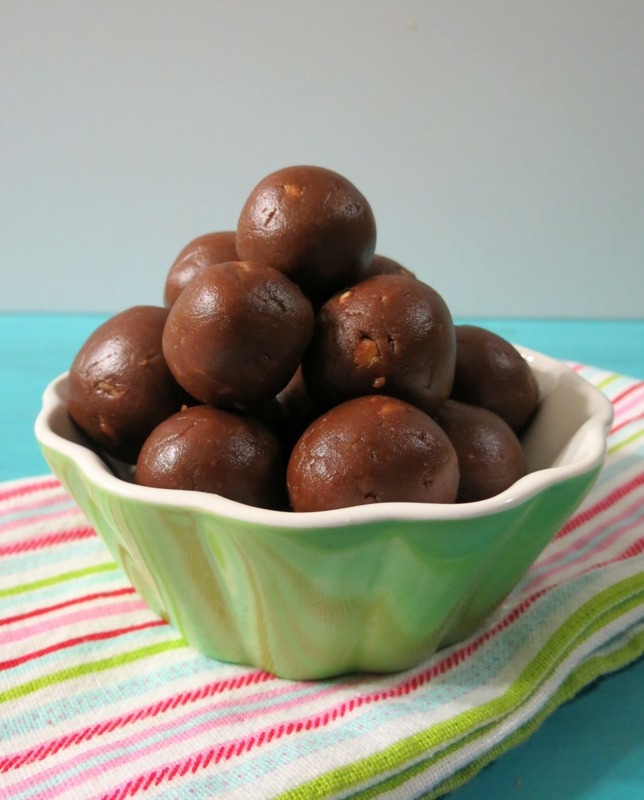 I added all of my ingredients in a bowl, mix together and rolled into a ball. I keep my truffles in the freezer, but they are good in the fridge too. If you freeze them, just let them sit out for a minute or two and pop in your mouth, they will simply melt in your mouth and in your heart! So if you like chocolate, peanut butter and caramel I highly recommend these little chocolates. I ate so many of them, however they maybe guilt-free, just limit your self to a few, not half a batch like I did. I couldn’t help it, they are darn good! Plus I had to test them. Ok that’s an excuse! A healthy, creamy, chocolaty, melt in your mouth gluten free vegan chocolate treat that tastes like a combination of a Snickers Bar and a Milky Way. Line a plate or half a baking sheet with parchment paper; set aside. In a medium bowl, add peanut butter, caramel extract, vanilla extract and maple syrup. Mix until combined. Add cocoa powder and mix until combined. Knead in peanuts. Note: If you do not use salted peanuts, add a dash of salt to the dough. Take about a teaspoon size piece of dough and roll into a ball. Do the same with remaining dough. 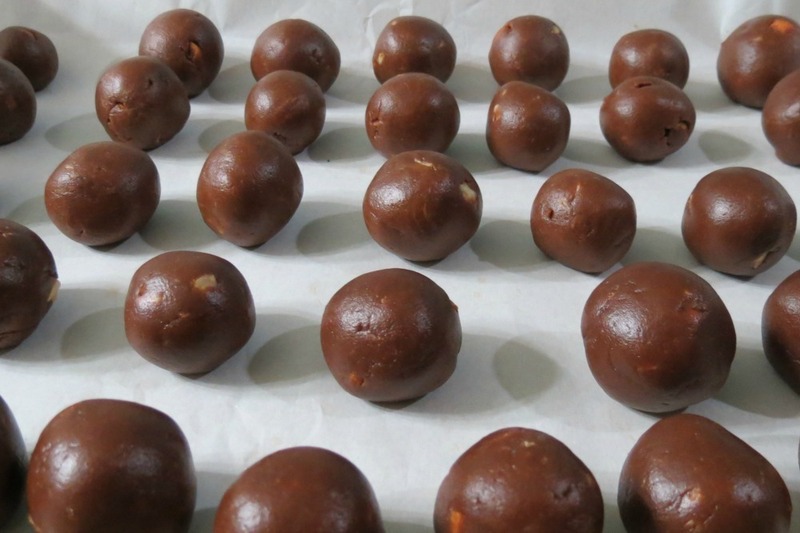 Place balls onto prepared plate and place in the refrigerator to firm up. Once slightly firm. You can store your balls in an airtight container in the freezer for up to 3 - 4 months or in the refrigerator for up to a few weeks. Oh my gosh, I happen to have a few of these little Guys left and I think I need one or two or three of them. What? I have been good today! 🙂 It’s almost Halloween, so as my Husband eats his Grand Bars and M&M’s, I’ll eat my truffles. I feel better about it! Do you make a special treat for Halloween? I don’t have a Halloween tradition, but I think these truffles will be the new tradition! I can’t wait to see what kind of Halloween goodies everyone makes. Be sure to check them out! Bravo, Jennifer! You are going to be the most popular gal in the food blogosphere amongst vegans and gluten-free folk. And even those of us who imbibe in the “regular” stuff. Your truffles do look and sound very dee-li-cious! Wow, these sound irresistible, Jen!!! I’d have to hide them from myself! These look irresistible! Thanks for sharing. I am totally drooling over here… gorgeous! I’m with you, I can put down candy like nobodies business. However, I love your version. It’s just slightly better for you but I’m sure I’d still put some down! Yah,it’s hard not to put down! It’s so hard having sweet treats around and yup I could totally eat a bag of candy. Especially on a Saturday when your cleaning the house, and you take one, come around again and take two, ect… Next thing you know I ate a bag! These would be way more dangerous in my house than a bag of Halloween candy. I don’t think I could resist! lol, it’s kind of hard to resist! Trust me, after reading everyone’s comments I just ate two! Thinking of three. Seriously, these have ALL my favorites. Chocolate, peanut butter, maple syrup, caramel. Yep, I’m pinning these! They are all my favorites too! I could just make a bowl of this and eat it! It’s nice to have a healthier chocolate option around Halloween, all of that sugar can get overwhelming sometimes! I agree! It’s the time of year where it is sugar overload!! YUM! I love that we both did a twist on Snickers this week. This sounds incredible and I will be making these. Thanks Megan! If you do make them, you have to let me know what you think! What a great combination of flavors – I think you may have invented the perfect truffle! Now these I could get on board with. Oh my… yes. I’ll take a bowl full. I love them!! ha ha! 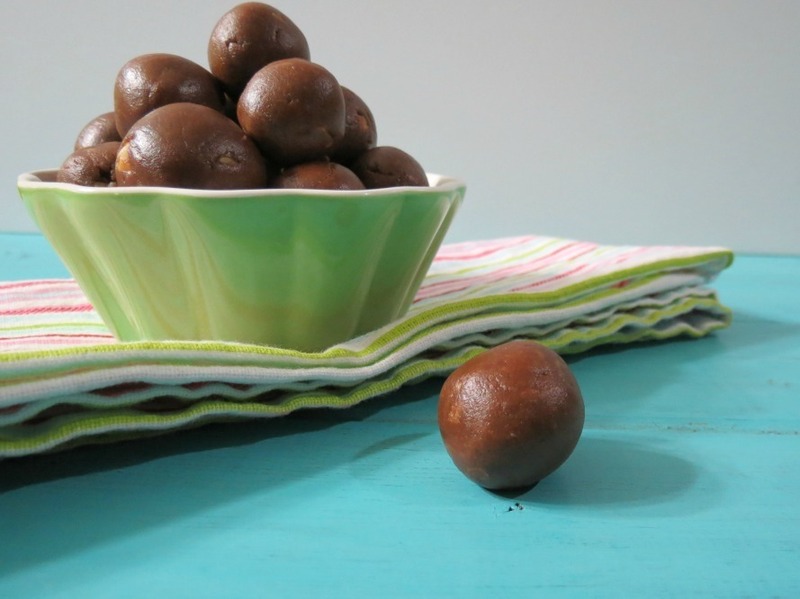 They are so easy to make, in 15 minutes you can have a big bowl of them!! Love treats that are yummy and healthy! Perfect for a sweet treat without guilt. Thank you Laura!! There not guilty unless you eat a half dozen of them! Brilliant, love these, Happy Halloween!! I have a feeling that I’d have a hard time eating just one or two of these. Yum! I wish I worked with you! These sound so yummy! lol, Thank you Chris!!! Wish I worked with you, I can only imagine all the yumminess you bring to work. I didn’t really have a thing for Snickers until they made the peanut butter versions. However, these truffles look great! Thanks Erin! I love the peanut butter snickers, like you that is when I really liked snickers, however I would never turn down and original! WOW… this is going on the list for holiday gifts! Ahhh, thanks Sarah! If you make them, stop back and let me know what you think! Thank you Lori! One thing with these little truffles one or two goes a long way, because it’s so creamy and chocolaty. I’d take these over a crunch bar anytime. 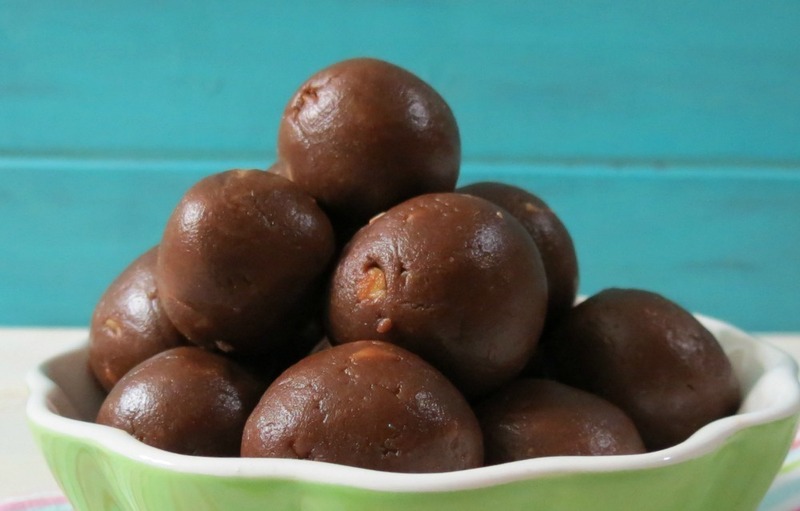 What beautiful little balls of sweet peanut buttery chocolatey goodness, Jennifer! These should make an appearance on all Christmas party tables as well. Ahhh thanks Stacy!! You are to sweet! But I love the idea of serving them at Christmas!! 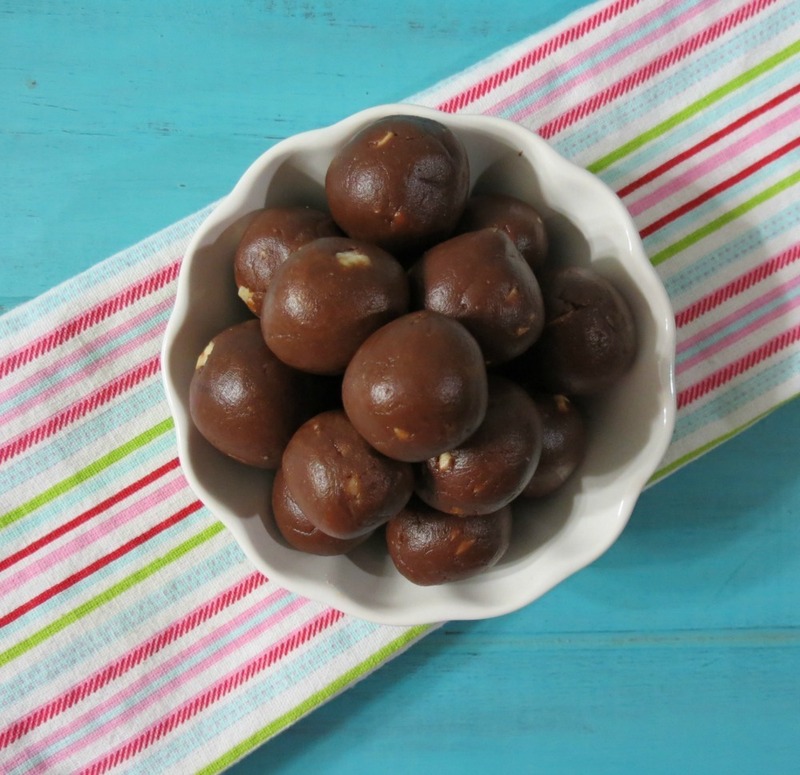 I’d pass on every bit of store-bought chocolate Halloween candy for a bowl of these truffles. Oh heavens. And peanut butter…divine peanut butter! lol, Thank you Renee! It’s hard just eating one!! Way better than the stuff in the bag! It sounds so super delicous – the combonation of two of my favorite candy bars! Thanks for sharing on #SundaySupper! Your welcome Cheryl! I love being apart of #SundaySupper! Very simple but so yummy! Oh my goodness! I would love a whole bowl of these for just me and a good movie. It’s really hard not too! OooOOoooO! These look delightfully dangerous! How creative, and vegan too 🙂 Thanks for sharing! Your welcome! It’s amazingly delicious! I love these little balls! WOW I sure wish I worked with you if you are bringing stuff like this to work!! Love it! lol, Thank you so much! I had to take them work and share because I couldn’t stop eating them.